A range of tools that are designed to service the various ICM ranges of compression connectors. 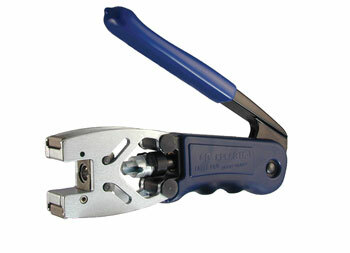 The ICM CPLCCT-SLM compression connector crimp tool is suitable for the fitting of all ICM compression connectors (except for the DB double bubble types) stocked by Canford. The tool is supplied with various jaws adapters to allow nickel, gold and right-angled F, RCA (phono) and BNC connectors to be fitted. Jaws adapter LMTIP-S is required for nickel-plated bodies, jaws adapter MPTIP-G is required for gold plated bodies and LMTIP-RA for right-angled connectors. 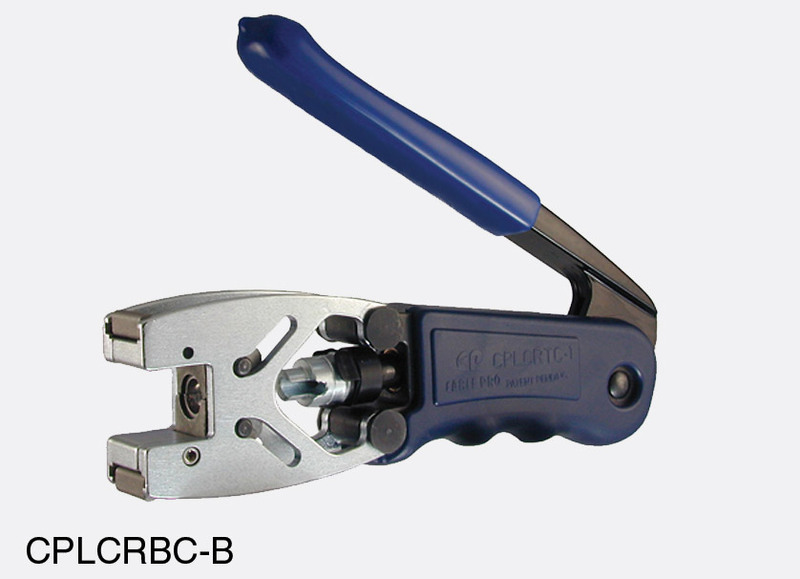 The ICM CPLCRBC-B compression connector crimp tool is suitable for the fitting of all ICM DB double bubble type compression connectors stocked by Canford, by using the supplied jaws adapter LMTIP-S, which is required for nickel-plated body connectors. Spare adapters are also available separately.